Ryan L. Warsh is an associate in Dykema's Real Estate Practice Group in the Bloomfield Hills, Michigan office. 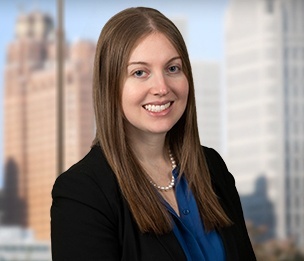 In her practice, Ms. Warsh focuses on commercial real estate transactions, including acquisitions, dispositions, leases, and financing. Ms. Warsh represents real estate developers, buyers, sellers, lenders and landlords and tenants. Ms. Warsh works closely with clients to understand their business goals and helps develops strategies and cost effective solutions to achieve their objectives. "Aligning Incentives in Construction Contracts"